For most people, cash bonds are out of reach as a way to get out of jail fast when arrested in the Tulsa Area. Instead, they need to choose between a surety bond (bail bond) and a property bond. In either case, you could put up your house for bail bond in Tulsa. You could either directly for a Tulsa property bond or as a form of bail bond collateral. However, tother forms of collateral exist. At Signature Bail Bonds, we often accept no-collateral bail bonds and even finance them free of collateral. What Is Involved in Putting up a Tulsa Property Bond? Legally, you can use real estate in place of cash for bail in Oklahoma. Putting up your house for bail bond in Tulsa causes unnecessary stress. You will have to go through a lot of paperwork and meet a number of requirements. First, your equity in the property must be enough to cover the full amount of the bail. The total value of the house must be equal to the bond amount. For purposes of a property bond, your property is valued at four times the “market value,” which means the assessed value for taxation purposes. The assessed value on Oklahoma homes is usually only about a tenth of the real “market value.” Thus, your home may only count for 40 percent of its real value. The value must still be equal to the bail amount. Values are calculated after any existing liens are subtracted. Next, the property must be physically located in Oklahoma. You will have to fill out an affidavit affirming who holds the title, the assessed value and other pertinent information. Then, your affidavit will have to be verified. A clerk at the court will finally put up a lien on your property in lieu of cash bail. Do I Need to Use My Home as Bail Bond Collateral? While it is possible to use your home or another piece of property in which you have equity as collateral for your bail bond, there are normally other ways to secure the bond. First, at Signature Bail Bonds, we often provide bail bonds for the 10 percent premium on the bail amount with no collateral needed. In cases where the bail is extremely high or the flight risk is high, we might require some form of collateral for the bond or for financing on the bond if you can’t pay the premium in full upfront. Automobiles, boats, RVs, expensive jewelry or antiques, high-end electronics, stocks and bonds, bank account balances, firearms, livestock and farm equipment are all possible forms of collateral. Smaller items would be taken into physical possession while serving as collateral, while immovable or large items would be secured by means of a title, deed or pink slip. Just kidding! We don’t hold farm animals for collateral. Just checking to see if anyone was actually reading this article! 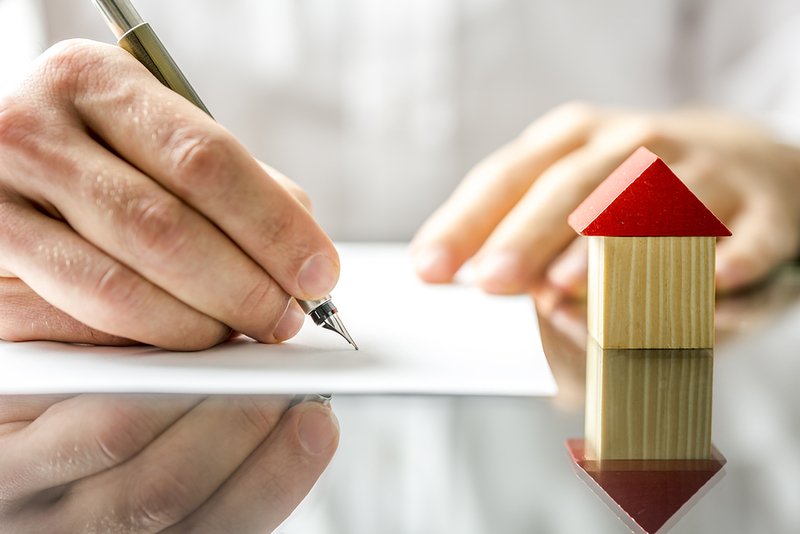 At Signature Bail Bonds, we can help you to better understand both property and surety bonds. We can help you arrange a property bond in accordance with Oklahoma law in as little time as possible. And although we can accept property as collateral for a bail bond, we can accept other items as well and usually require no collateral at all. To learn more or to arrange a bail bond and get out of jail fast, call us anytime 24/7 at 918-SIGNOUT. You can also fill out a bail bond application online.